I am old enough to remember when lego was just bits that you put together according to your imagination and the availability of bits. Never enough, Dad, at which Dad would shout that he'd just stepped on one last night. Now it's a kit. You build to the plan. 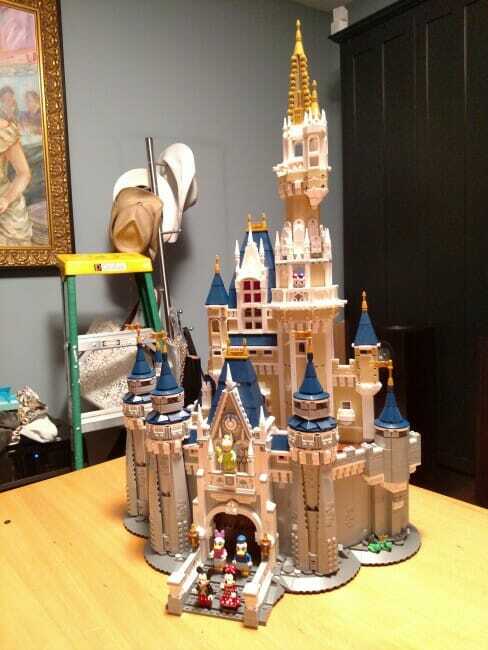 It's not a "kit", but this has to be one of the most awesome Leggo builds ever. Life sized, working, compressed air powered car. More of the programmed life the kids have today. I didn't have Legos, I had "American Plastic Bicks"; every Xmas we (my brother & I were co-owners of the box) got more... we built huge things. There were plans, but we thought they were wimpy. I'm sure its a felony to give them to your kids today since many of the parts were "choking hazard" size. Wow. Lego has kicked up its castle game. I used to love the Spanish Exin Castillos building blocks but they can be hard to find now. Many years ago Columbus had a high end department store called Lazarus (Macy bought it and wrecked it.). The had an annual Christman Lego display erected by Lego employees. I brought my daughters to several of them. One year they had a half scale elephant made out of red Legos.